HIGHLY MOTIVATED SELLER. This Gorgeous Traditional luxury meets City Living in a Growing Community. Custom built home with countless features. The home is prestigious with high ceilings, beautiful red oak hardwood floors, 8' tall doors. Gourmet Kitchen with Quartz Counter tops, soft close cabinets and High-End Viking appliances. Every Chef's dream!! Youâ€™ll find tray ceilings, custom lighting, Grand vaulted ceiling, 8" baseboards, brushed nickel, dry bar, butlers pantry and wine cellar just to mention some of the upgrades done. The Master Bathroom is perfectly designed with double sinks and a makeup vanity and a dream walk-in closet giving it a Hollywood feeling. Large prewired Patio is spacious enough to build an outdoor kitchen. The home was designed to be very energy efficient for low electrical bills. Definitely the house that you and your family will enjoy for years to come. ASK FOR THE FEATURE SHEET. You will be blown away by the custom selections in this home. Directions:From I-10. Proceed North on Antoine Drive, Left on Janak Drive, Right on Woodvine Drive. House on left with Big Oak tree. SchoolsClick map icons below to view information for schools near 1647 Woodvine Dr Spring Branch, TX 77055. Listing provided courtesy of Abby Realty. Home for sale at 1647 Woodvine Dr Spring Branch, TX 77055. Description: The home at 1647 Woodvine Dr Spring Branch, TX 77055 with the MLS Number 11608679 is currently listed at $860,000 and has been on the Spring Branch market for 140 days. 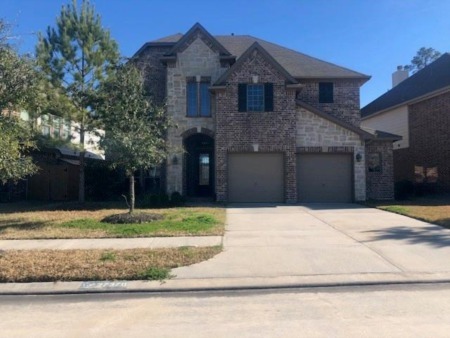 You are viewing the MLS property details of the home for sale at 1647 Woodvine Dr Spring Branch, TX 77055, which is located in the Pine Terrance subdivision, includes 4 bedrooms and 4 bathrooms, and has approximately 3810 sq.ft. of living area.